A classy yet casual eatery serving up an eclectic and surprising mix of main entrées and burgers, steaks, and seafood. With a recently updated menu, the Buttermilk Dijon Chicken and the wide selection of burgers have been house favorites. Hot lunch buffet with soup and salad is served on weekdays, and a roasted chicken buffet is available Sunday. Sunday brunch, private party room, banquet, vegetarian friendly. With an open, casual bar area, 29 Pines is a prime place to meet, sit, and talk. Though Bloody Marys are ever-popular, the Lodge also offers specialty beers and brews on tap. 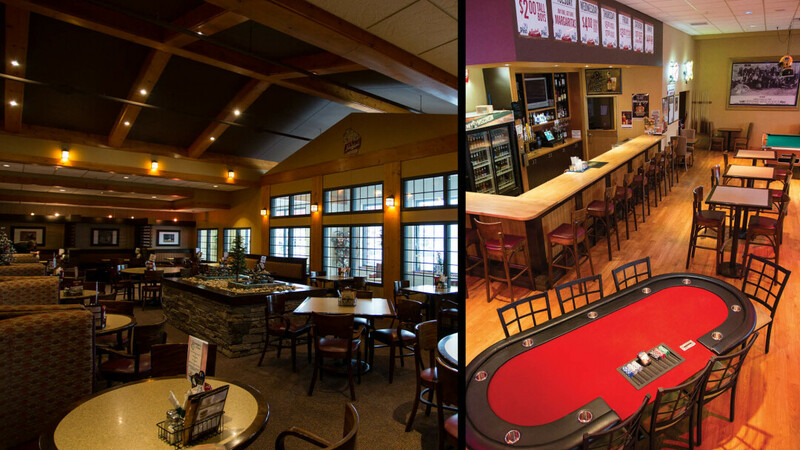 Enjoy their happy hour, occasional live music, pool, darts, food to order, and free pretzels and chips. Monday is trivia night, and stop in Wednesday for karaoke. Party room available.